I know the traped miners in Chile is the news of the day, so perhaps I’ll do another of those tomorrow, but this USA Today item Caught My eye. The courst says this is a “historic and courageous step in the right direction”, and I agree. The future isn’t quite the hovercar concept I thought it would be….but ending the ridiculously archaic concept of homophobia and prejudices should definitely end now if not sooner. Here was my INITIAL concept this morning when the coffee was just hitting my system. This is obviously the MALE version…and I may go back and finalize it later ( though I’ve said that more than one time and forgot). I dug up this image AFTER I drew my carton today. 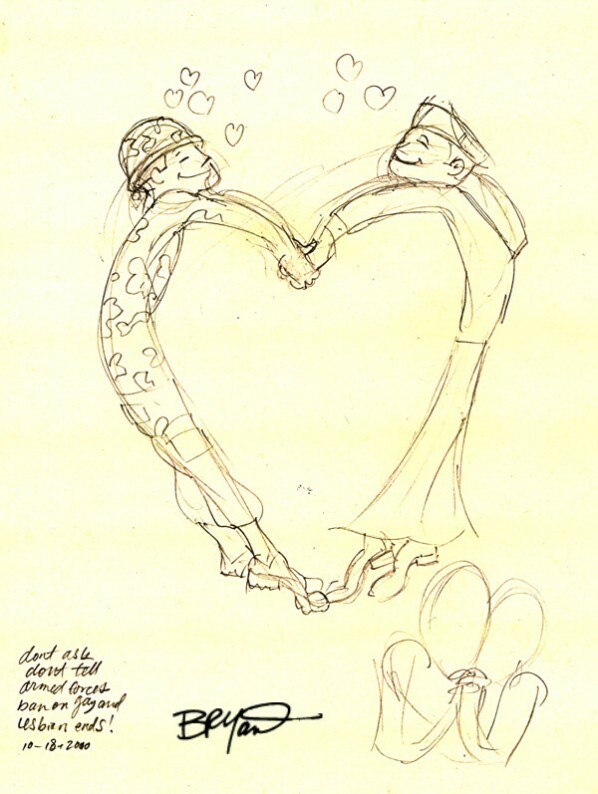 This was my internal inspiration…got pretty close I think. 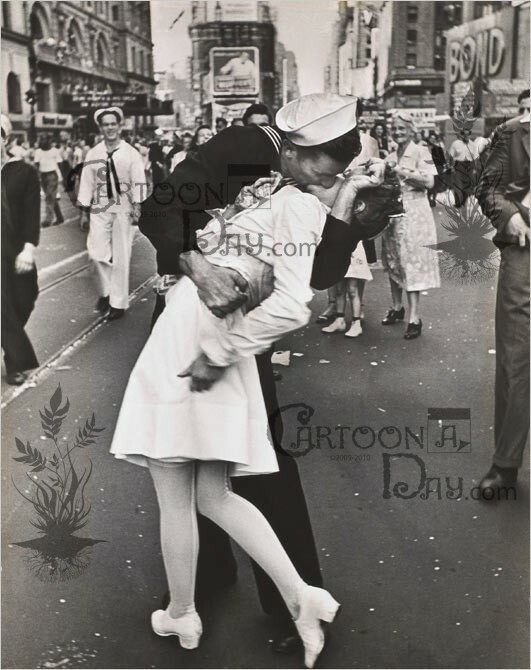 The photo is credited to Alfred Eisenstaedt and is of a sailor in Times Square when news of WWII Japanese surrender hit town.